We are happy to know you are ready to take the first step to your next Adventure!. 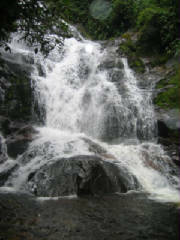 On this site we will help you find the best options when coming to the Highlands of Panama. We are excited that you are visiting our web site. Our company is here to provide unique adventures with the service you deserve and the best guides of the area. On this site you'll find information about our excursions and services, along with descriptions of our specials. We hope you will find all of the information you are looking for your next adventure in the Highlands of Panama. From relaxing to extreme adventures, we do it all!.